It probably comes as no surprise that Florida is full of great places to retire. 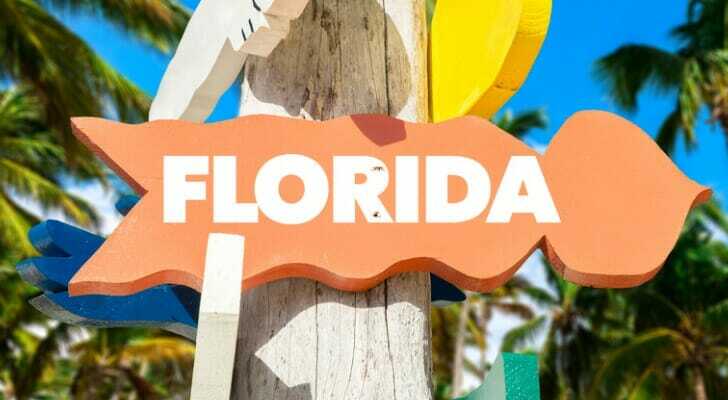 After all, the Sunshine State is famous for being the destination for retirees to enjoy their golden years, especially if they spent most of their working lives in the less-temperate climates of the American North. But even within the retiree mecca of Florida, there are some cities that shine even brighter as the best places to retire in Florida. 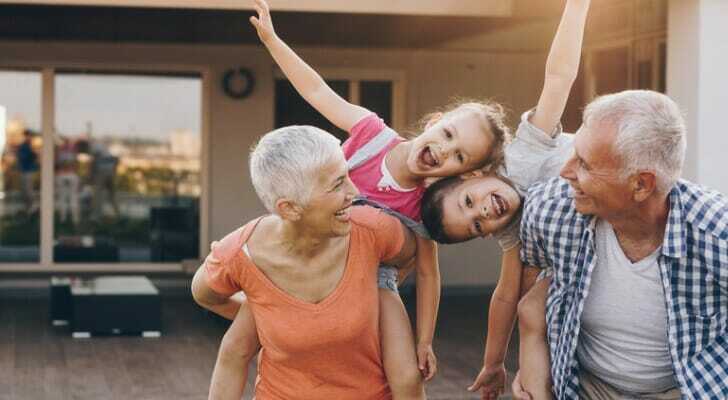 If you are thinking about retiring in Florida or just want a better idea of how to get ready for retirement overall, finding a financial advisor may be a good idea. SmartAsset can help with our free financial advisor matching service. You can also check out our list of the top Florida financial advisor firms. To determine the best places to retire in Florida, we weighed a number of factors. We looked at the tax burden, figuring out how much of your retirement savings would be eaten up by taxes each year. Knowing that quality medical care is always important for retirees, we also considered the number of medical centers in a particular city. Many seniors look for a good community of fellow retirees in their new home, so we also looked at the number of recreation centers and retirement communities in each city. Finally, we looked at the percentage of senior citizens in each community. After all, a city with a lot of fellow retirees is likely to be a good destination for retirees. We compiled all of that data to rank the cities in the state. Below are the 10 best places to retire in Florida. Naples isn’t just the best place to retire in Florida. It is also the best place to retire in the south and in the nation. The city is located in the southwestern portion of the state, right on the coast of the Gulf of Mexico. Naples ranks especially well for its number of medical centers, with more than 28 per 1,000 residents. It is also so senior-friendly that a remarkable 51% of its population is seniors. The town also has a tax burden of just 14.60%, which is higher than the tax rate in some other states but tied for the lowest compared to other cities on this list. With ample golf courses and other recreation activities, Naples presents a great option for those looking to live in Florida. This town in the Tampa-St. Petersburg area is another locale within spitting distance of the Gulf of Mexico. It’s also close to a major city, which means access to cultural attractions like museums and professional sporting events. New Port Richey has plenty of recreation facilities, medical centers and retirement communities. It does have a tax burden of 15.60%, which ties it with a number of other cities on this list for the highest tax burden. Still, Florida is one of the best states to retire for taxes. All in all, New Port Richey’s offerings make it not just a great place to retire in Florida, but also the seventh-best place to retire in the country, according to our formula. Orange Park is the highest-rated inland city on our list of the best places to retire in Florida. The city is situated near Jacksonville, and with a population of less than 10,000, it would surely appeal to those who prefer small-town living. It is the second-ranked city on this list for medical centers. The small size of the community does mean that some of the amenities available in other cities might not be as extensively offered here. For instance, Orange Park ranks second-to-last on this list for the number of retirement communities and in the middle of the pack for recreation centers. Still, Orange Park is the 10th-best city to retire nationwide, according to our calculations. Located about an hour north of Tampa, Brooksville is another good option for those looking for a small-town feel, as it has a population of less than 8,000. The town has a decent number of medical centers and falls toward the middle of this list in terms of both recreation centers and retirement communities. Its tax rate is 15.10%, and seniors account for about 27% of the town’s population. There are many historic homes in the town. Brooksville ranks in the top 15 places to retire nationally. Stuart, located less than an hour north of West Palm Beach, is the highest-ranked city on this list that’s located on Florida’s Atlantic coast. It’s also right outside of Port St. Lucie, famous as the spring training home of the New York Mets, so any New Yorkers thinking of seeking warmer weather for their retirement may find something they like here. Stuart has the third-highest number of recreation centers on this list. On the other metrics we used, it mostly falls towards the middle of this list. For instance, it has nearly 14 medical centers and 0.50 retirement centers per 1,000 residents. As the name suggests, Vero Beach is an oceanside town on the Atlantic coast of Florida. It ranks in the top 15 for the best places to retire in the country, driven largely by its high number of recreation centers. Vero Beach has the second-most recreation centers of any Florida city on this list. It also has the third-most retirement communities on this list, and with 28% of the population being seniors, you’ll have no trouble finding a community. The beaches make the area a popular tourist attraction, so it will also be easy to get your family to visit. Inverness, which is also ranked in the top 15 place to retire nationally, may not be along either of Florida’s coasts, but that doesn’t mean it isn’t near water. The town sits near the almost 11,000-acre Flying Eagle Preserve. The town is tied for the lowest tax burden on this list at just 14.60%. Again, this is not as low as the tax rates in some other states, but it’s not bad overall. Inverness does rank fairly low for number of retirement communities and recreation centers. However, with 35.60% of the population being seniors, there likely won’t be a problem meeting other retirees. Venice is the town for shark lovers. This city is known as the “shark’s tooth capital of the world,” and it hosts an annual Shark’s Tooth Festival. Fossilized dentures aside, the Gulf Coast city ranks towards the middle in most of our metrics. The town has 0.61 retirement communities per 1,000 residents. It does rank second-to-last on the list for medical centers, with just 7.15 medical centers per 1,000 residents. 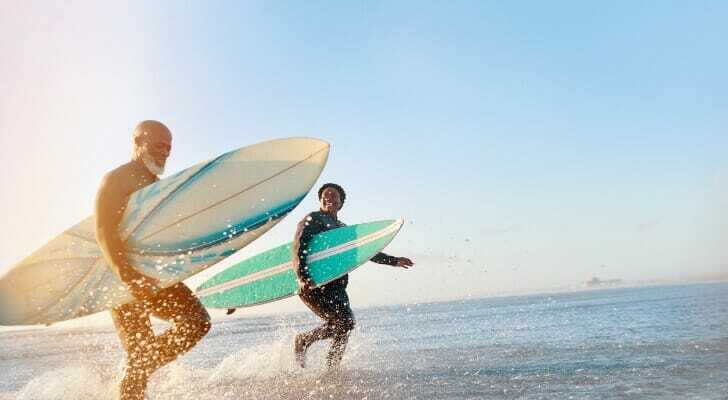 It has a very high percentage of seniors, who account for 58.80% of its population, showing that folks in their twilight years certainly enjoy the coastal town, and perhaps occasional shark’s tooth festivities. Located south of Tampa, Sarasota ranks about average for most our our metrics. It does have relatively high tax rate of 15.60%, but it also has a good number of medical centers and recreation centers. The city also has its own ballet and opera, so if you don’t want to give up your fine arts patronage in your retirement there are options there. Plus, with Tampa and St. Petersburg just up the road, the cultural options here are myriad. This is the only retirement-focused community on this list. Sun City Center has an age restriction, meaning no one under age 55 can live there. This, of course, leads to a whopping 74% of the population being senior citizens. While there aren’t a huge number of designated recreation centers in the town, the community does have clubs for just about any interest you can think of, from sewing to ham radios. The town is located right between Sarasota and Tampa, so you can escape the retirement community for the wider world when you want. Whether you’re thinking about retiring soon or just dreaming of settling down under the Florida sun someday, finding a financial advisor can help you get there. SmartAsset’s free financial advisor matching service can help you find a good advisor for you. All you have to do is answer a few questions. We will then match you with up to three advisors in your area. We’ve vetted all of the advisors on our platform and made they don’t have any disclosures. You can then interview the advisors to determine to decide who best suits your needs. Make sure you’re taking full advantage of any workplace retirement account you have access to, like a 401(k) plan. Contributing enough to your 401(k), and especially using any company match you are offered, can mean the difference between the retirement you want and one where you’re struggling. Here’s a guide to how much you should contribute to your 401(k). If the Florida sun isn’t for you, there are plenty of other options. Check out our lists of the best places to retire in Texas, Virginia, California, Arizona and North Carolina.